Sacramento has a new sports bar called Costanza’s, which will host its grand opening Sunday to coincide with the Super Bowl. The bar offers karaoke, happy-hour specials, and according to its Facebook page, “smoked meat food options until 3 a.m.” So why is this news? Because though most of the bar’s TVs will be tuned to sports, one screen will be dedicated entirely to Seinfeld reruns, hopefully in perpetuity. 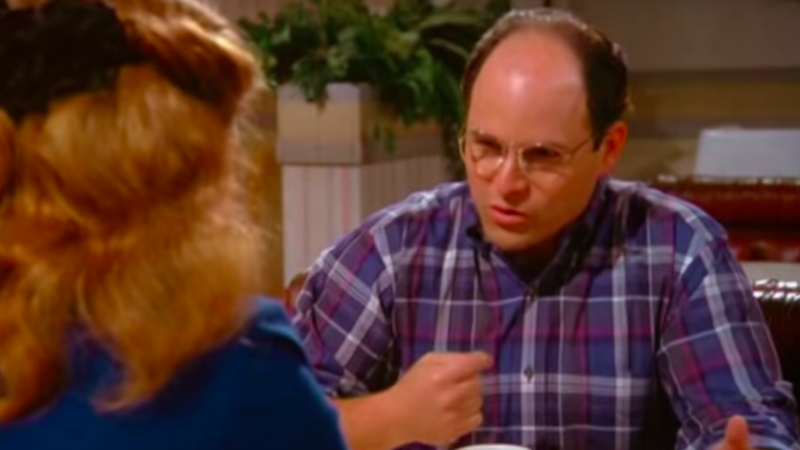 News station KCRA-3 reports that “while the TV screens will always display sports games, there will be one TV that has plays Seinfeld on a loop.” Owners say the bar’s name is a nod to character George Costanza. According to Good Day Sacramento, a group of friends came together to invest their money in the bar rather than say, trying to get rich cashing in bottle deposits in Michigan or launching a chain of make-your-own pizza restaurants. The segment also includes discussion of a self-serve beer wall and interactive drink tokens yada yada yada—all we care about is Seinfeld on loop forever. We declare this the winter of George!